First he thanked God. Then he thanked Allah. Next came out the cigar and the open top bus ride through the (largely empty) city streets of Bradford where George Galloway had dramatically won a by-election. With the borderline-cringey chutzpah he has become famous for, Galloway was able to marginalise all other headlines in what has been a news heavy week in politics. The question on everyoneâ€™s lips is: how on earth did he do it? The search for an answer begins in the Labour party. Since the formation of the Con-Dem coalition, Labourâ€™s political strategy has been effectively â€˜do nothingâ€™ in the expectation that the government will end up committing electoral suicide. And so far, such attempts at sleepwalking into power appeared to be working. Just prior to the Bradford West by-election the combined PR disasters of tuition fees, privatisation of the NHS, party funding and the petrol fiasco, had put Labour in a 10 point lead over the Tories â€“ a seven year high. In this context, Gallowayâ€™s election was met with widespread surprise, for not only did it confirm that the support for the coalition was plummeting (Tories lost proportionally the biggest share while the Lib Dems lost their deposit), but also that Labour may not necessarily be in a position to take advantage. So what conclusion, if any can be drawn from this? Responses to what Galloway (with typical modesty) called the â€œthe most sensational victory in British political historyâ€have subsequently vacillated between two extremes. The first â€“ rightist â€“ perspective has downplayed Gallowayâ€™s victory, claiming it was based on opportunistic appeals to the Islamic/Asian vote. The racist undercurrent of such a perspective is clear enough â€“ that an MP representing his or her constituents becomes â€˜opportunisticâ€™ only when those constituents happen to be Asian. But moreover, the rightist position denied that Gallowayâ€™s appeal was drawn from his position on jobs, austerity and war (that is, things we can change), and instead emphasised the essential qualities of ethnicity, sectarianism and tribalism (that is, things we cannot change). In so doing, the rightist position reaffirmed the capitalist realist notion that â€˜there is no alternativeâ€™ to the politics of austerity; Gallowayâ€™s victory was a regional anomaly, a mere accident, not representative of any disenchantment with mainstream politics. This has led, in some quarters, to the complacent view that the big parties retain broad consensus and popularity. While Labour suggested that the result was in no way an indictment of Ed Millibandâ€™s leadership, the Tories lauded it as evidence that only the Conservatives have electoral credibility. It is not unreasonable for the left to be emboldened by Gallowayâ€™s victory. That an independent candidate running on an unashamedly left-wing anti-austerity, anti-imperialist ticket hammered a party as embedded and resourceful as Labour should raise the question: if here why not elsewhere? What it shouldnâ€™t do is lead to a dismissal of the â€˜ethnic questionâ€™ as right-wing propaganda or superficial identity politics. 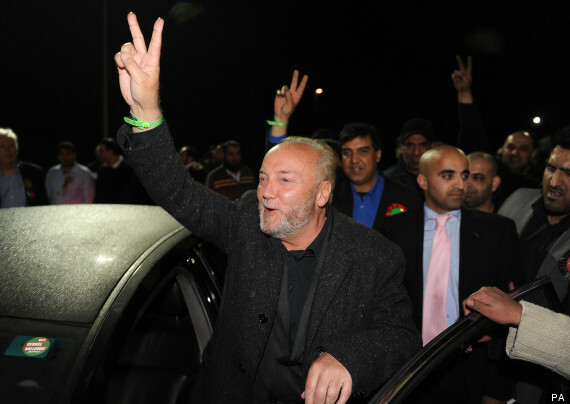 Indeed some voices suggested that the fact Galloway beat Imran Husain, a local Pakistani Labour apparatchik, demonstrates that the politics of ethnicity or religion were not on the agenda, or were at the very least transcended in the name of â€˜more importantâ€™, â€˜more generalâ€™ working class politics. This is a mistake. To assume ethnicity played no role throws the baby out with the bathwater. While it may be true that â€˜ethnicâ€™ voters have political and social concerns that appear general and common to us all, such concerns are always refracted through particular local experiences â€“ in this case, Asians living in the racially polarised environment of Bradford. As crude and opportunistic as it may have been, it was precisely an articulation of a general disenchantment with mainstream politics in the particular context of Bradford that won the election for Galloway. If there is any broader lesson to be learnt from the Bradford West this is surely it. Perhaps we could ask him to accept the Labour leadership, that is if John McDonnell doesn’t want it; he couldn’t be any worse than the current lot.